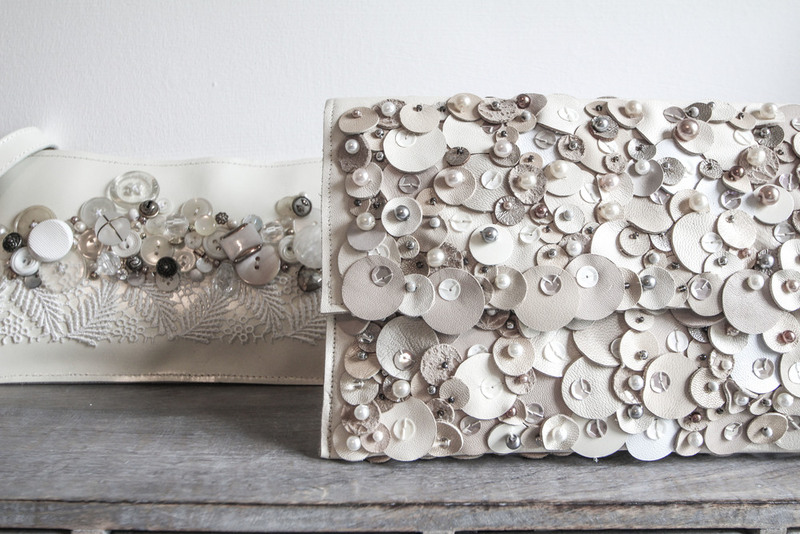 The Bride: Include sentimental buttons or trims from a family tin or a piece of jewellery passed down from a relative incorporated into your bridal bag. This will cover your 'Something Old'. 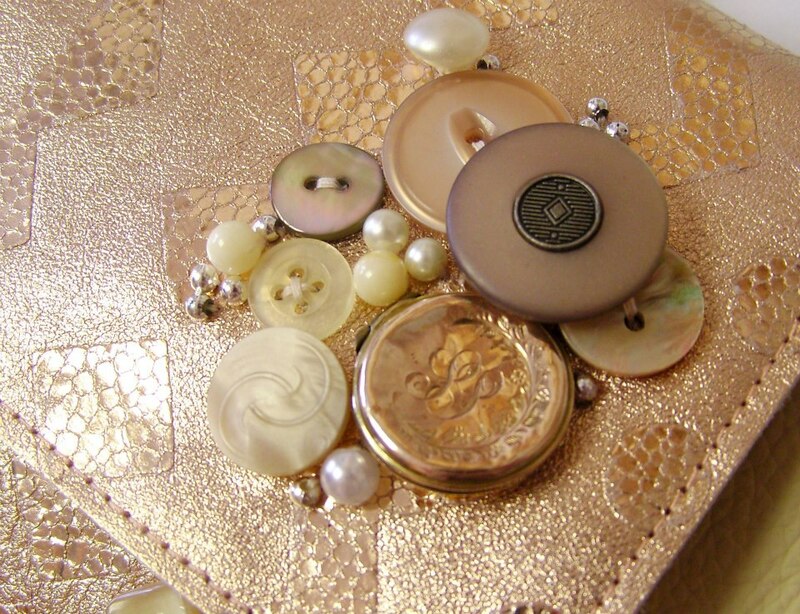 Previous clients have incorporated buttons from shirts belonging their Husbands to be, pieces of lace from their Mother's wedding dress and motifs from their own Christening gowns. Add a detachable wrist strap so you can allow your bag to dangle from your wrist whist you sip on champagne & carry your bouquet. 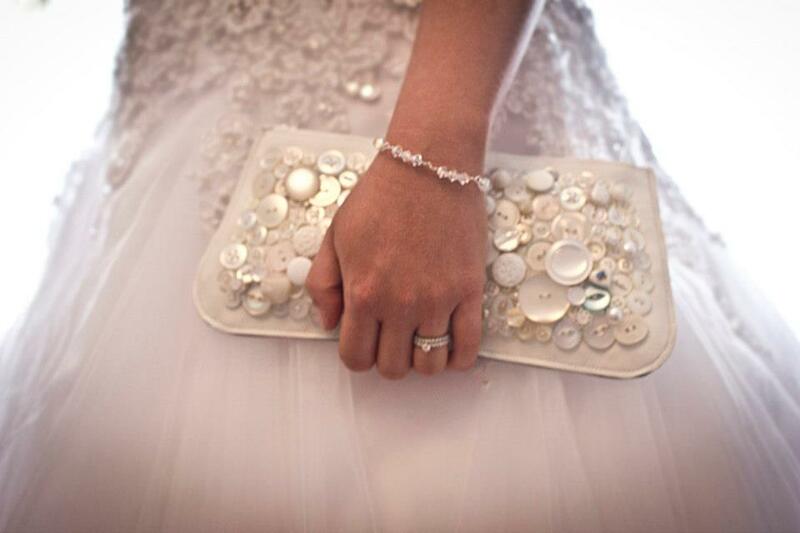 Previous brides have commissioned very dramatic bags in place of a traditional bouquet. You may opt to have your bag lining made of blue silk to cover your 'Something Blue'. Have your new surname embroidered inside your unique bag. Other ideas include your wedding date, a special quote or a cute phrase such as 'Blushing Bride'. 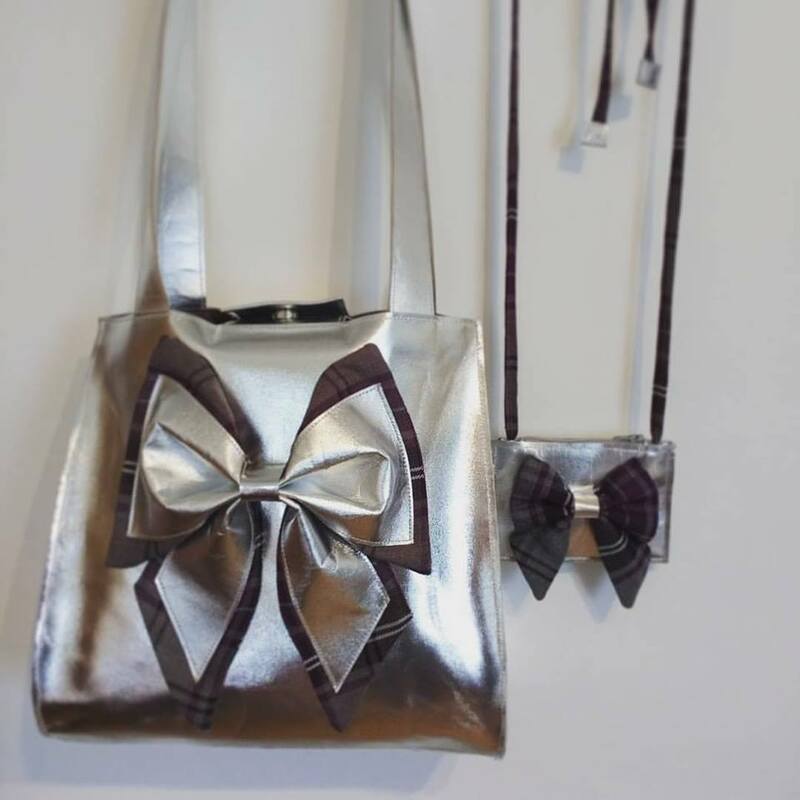 Mother of The Bride or Groom: When choosing a beautiful leather bag to match your shoes, why not colourmatch the interior of your bag too; have it lined with the same fabric as your dress or ensemble is being made from. 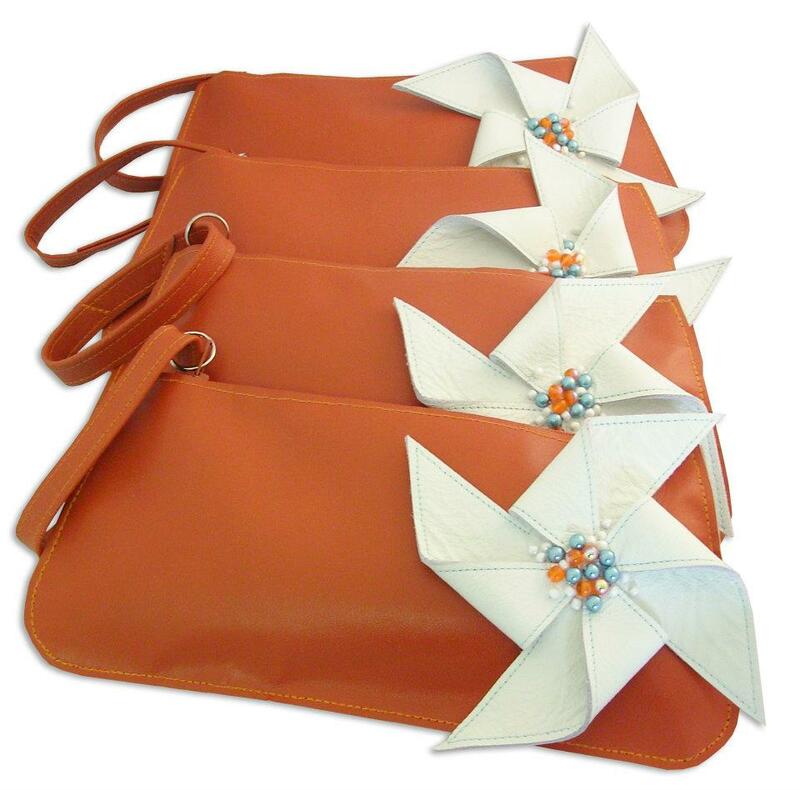 Leather Dying: A leather dying service for a perfect colourmatch is available. Please contact us for further information and cost for this service. 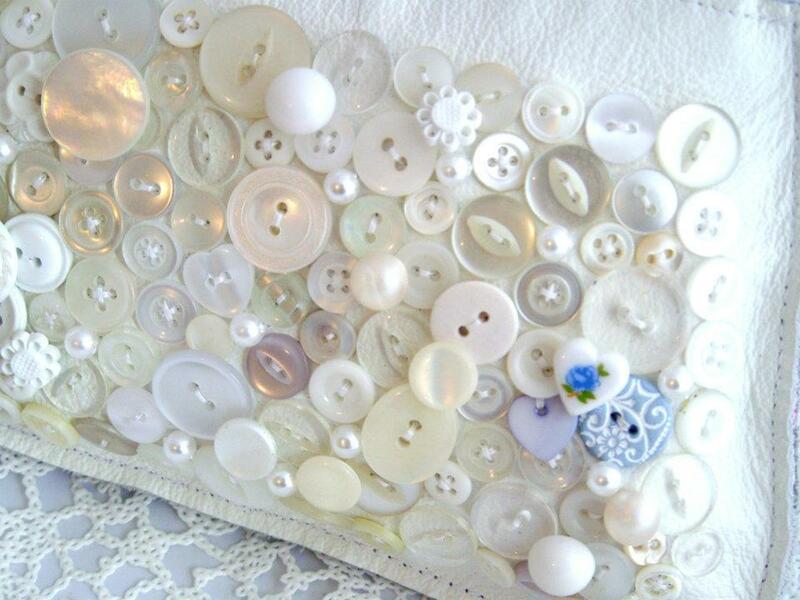 Bridesmaids and Flower Girls: Bespoke bags for Bridesmaids & Flowergirls make beautiful keepsakes to say thank you for helping to make your day special, as well as providing a practical yet fabulous addition to their outfits! 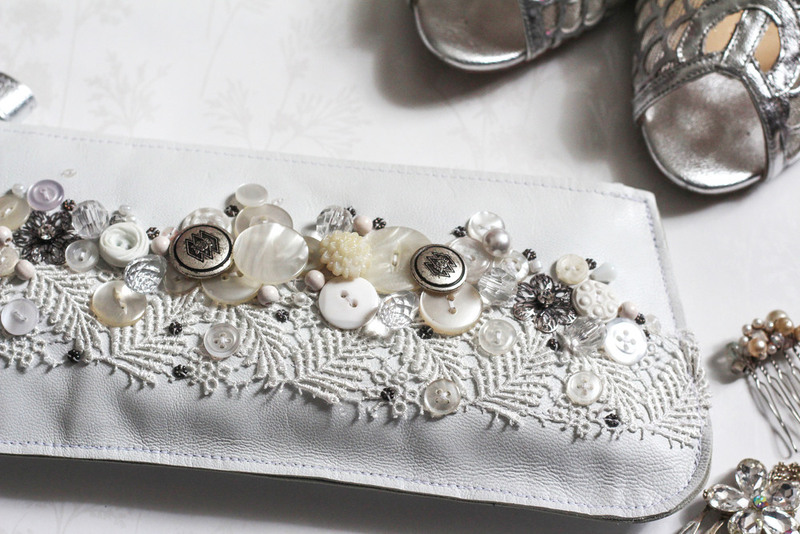 Previous clients have had 'Beautiful Bridesmaid' or name and wedding date embroidered inside. 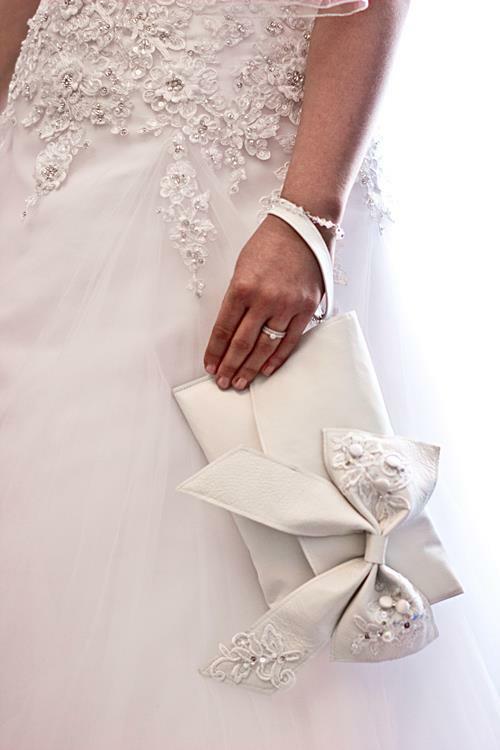 Bags can be made with wrist straps to allow them to dangle safely from the Bridesmaid's wrist so that they can easily carry a bouquet, or sip a glass of champagne! 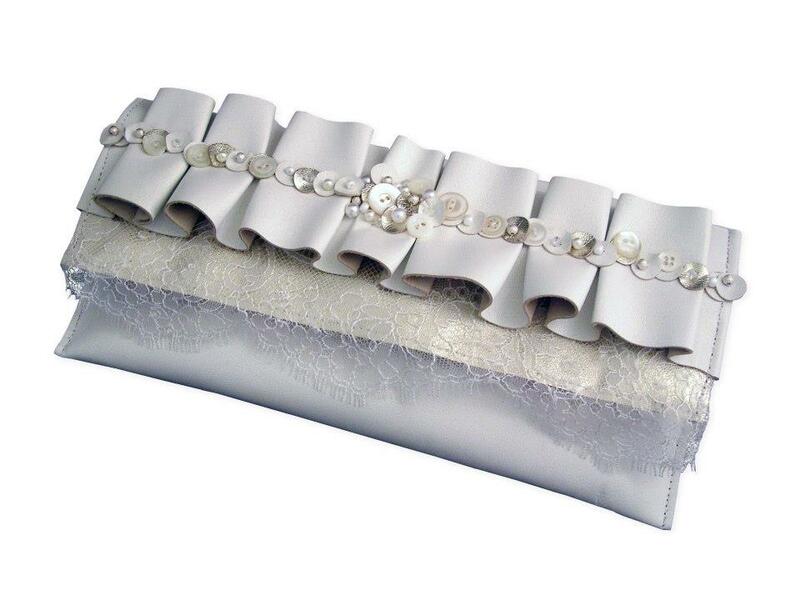 For group wedding orders please allow a minimum of six weeks prior to the event when placing your order. A deposit will be required on order.